I want to call this composition,"My first Car in America". To my fellow friends of the City College of San Francisco, I want you to know, I am Eduardo Cisneros. 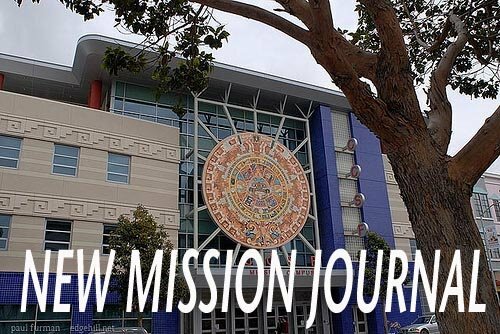 First, I want to tell you that this is my third composition to be published on "The New Mission Journal of San Francisco". I have already written two other ones. I hope that you will enjoy this one, too. The first story I wrote was called, "How a Little Poor Kid Helped His Mother" to raise his brothers and sisters. I called the second one, "The Childhood of Eddy Cisneros", and the third I will call "My First Car in America." This time, I want to write about something that can happen to anybody who comes to "America"for the first time. First, we go to see and have fun at many places in San Francisco, such as Ocean Beach, Fisherman's Wharf, Golden Gate Bridge, Golden Gate Park, Chinatown, the Zoo of San Francisco, the Bay Bridge, and so on. These places make you excited, and you'll never forget them as long as you live. Besides these places, also in your mind is something you remember about first coming to the United States, and this is what you're going to hear about. With an empty pocket, with no money, and wearing somebody else's clothes who lent them to you, these are embarrassing moments. This was how our life in this country began. We came here because we wanted good work opportunities. Of course, in some places our choices don't matter. You naturally will work wherever you find work first. This was how it happened with me in the beginning, when I couldn't speak English at all. My priority at that time was to get a job, no matter how or what. Secondly, I had to find a place to live. I say that because mostly a new immigrant has to live first in the house of somebody else like your mother's house, your brother's house, your sister's house or a shelter. Nothing is more important for us than to find our own place, so that you can do whatever you want to do according to your own lifestyle. I remember when I lived in my older sister's apartment, where she didn't have place for me. I had to sleep on the sofa in the living room for months. Also she felt she had to do something for me like my mom: prepare breakfast, lunch, and dinner. Sometimes, on the weekends, I went to my girlfriend's house too. She and her sister helped me to look for a job, and my brother-in-law took time to show me the city by bus and train, because some day I would have to do it by myself. I needed to learn all of this, because otherwise I would have to put up with my sister and brother treating me like a child, and that was really the most embarrassing time in my life, because I considered myself a grown up. But enough of that! Let's go back and continue the most important part of this composition. It happened when I was working for several months in a restaurant called "Little Mama's" in North Beach. I worked there for many months. I did two kinds of jobs, one in the morning doing dishes and the other in evening, cleaning the restaurant as janitor. I did this job for months in that place and later on they transferred me to their other restaurant which was in downtown San Francisco. That is how I bought my first car, because I was working hard to save some money, and to find something I could use to go to work. At that time they paid me a low salary: the minimum wage, and that was the reason I had to work hard in two jobs. But no matter. When you have a family to support too with kids, you need to work two jobs. It's okay because sometime or other in everyone's life is tough, isn't it? But I guess I've been talking too much? But to start I'm going to be honest and tell you guys, I used to have another car in my country that I bought many years before. I was 26 years old. 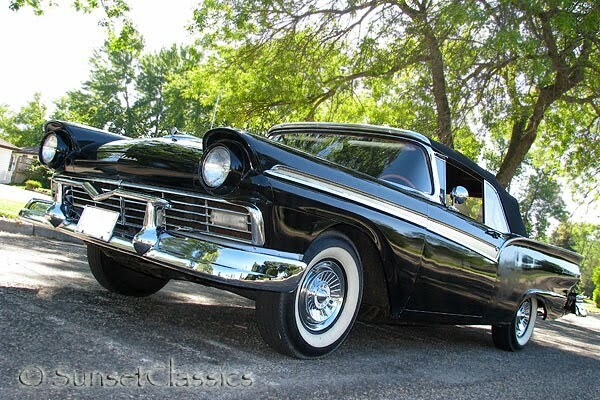 It was a Ford Fairlane, 4 doors, 6 cylinders, black, 5 passenger seats and the interior was red color. That car was very nice. The body was made of steel. The bumpers were strong too. It looked like that car was never going to die easily. It was a car made to last forever. Many people liked to preserve that kind of car. They kept it cleaned and later on they converted these cars into collectible cars and sold them for a lot of money. But also I don't want to forget how I got the money to buy that car. In that time where was living in my country, Peru, when we didn't have the chance to get good job, where a place doesn't exist to work and so you can't dream about getting a good salary and they couldn't pay a good salary. They are rich but they don't pay us enough money to buy something good and useful, neither a bicycle nor a motorcycle. In the early 80's when I was a handsome young man, I was working for a company where they made packaged products, food for pets. My job was as salesman, I had to go to the stores, markets and many places to sell the product. They paid me a good salary and good commissions too. That was when I learned to save money. It's good to have money saved because one day you'll need it, as when I bought my first car in my country, Peru. About 20 years later, when I was living and working in San Francisco, I decided to buy a car. I was a little confused, because I wasn't sure where I was going to park the car once I bought it. But I needed the car to go to work. I was looking in the newspaper and magazines and I didn't find anything. I was looking for a car similar or the same as the car I used to have in my country, and finally my brother-in-law found a cheap car but it had mechanical problems. That didn't bother me because I had personal knowledge about the machinery of old cars. For me, it was an interesting car because it was a 1967 Red Mustang. It had 2 doors, a very nice black interior, and it hadn't been driven too much. It didn't have many miles on it, and it looked fine to me. The problem was, it had a broken a piston. Now you may say this guy is crazy or stupid to buy this car. He's going to buy a car with a broken piston? No way! But I did buy it because I know a lot about the mechanics of it and because I love sports cars. I learned how to be a mechanic when I lived in Venezuela. There I was a mechanic's helper and I learned how to fix clutches, brakes, points, spark plugs, and how to repair old cars. I know it's going to be a piece of cake for me to fix, but another problem was that car had stick shift. Its transmission wasn't automatic at that time. I didn't know much about how to drive that kind of car. The car cost almost 800.00 bucks. We took it home, but I didn't drive, my brother-in-law drove it. I guess the price wasn't too much for me. It was affordable at that time for my pocket, no problem. But what I didn't realize was that I was going to enjoy this car for many years of my life. 800 bucks. A 67 Mustang at that price was rare and that car give me a lot of satisfaction in my life. One day, I went to San Diego. I was in Hollywood. I experienced the beaches of California, but mostly I enjoyed the time we went to Nevada City to visit my old friends when they lived there. We went to Reno's Casinos, Lake Tahoe, and many Native American Casinos, and Sacramento too. This car, I tell you, I have a lot of fun with it, and I'm never going to forget it I until I die. My friends and neighbors also liked my car very much, and they liked to watch me when I was fixing my car in the street or washing it, or polishing it. I was doing many things with the car, and they wanted always to know what I was doing. Why were they so curious? But anyway, this car I still have, I haven't sold it yet. There are a few days left in its life. I guess I will put it up for sale one of these days. When I've driven my old car, some people ask me when I'm going to sell it. I say not yet, but one day maybe. It happens every single day, on the street of some places or many places, I get asked, "Hey, what year is your Mustang? 67 right? It's very nice. I like it." Can you believe it happens every single day? Can't you believe it? Thanks for sharing your wonderful journey with your Ford, Eduardo. I also have numerous fantastic moments with my car as well. It’s an old Mustang too, and it had been my best friend way back in college. But sadly, I have to park it for life when it started to break down frequently.